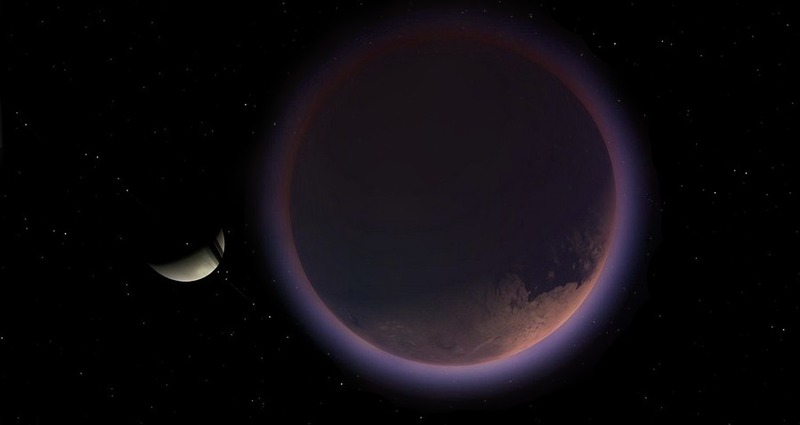 I could really go on and on and on and on about the pure awesomeness of Titan (and its many mysteries), but I’ll stop here by saying that the atmosphere itself isn’t the only remaining mystery. Various components of it are also quite noteworthy. For instance, Titan’s upper atmosphere – like Venus – rotates at a quicker rate than the moon’s surface. Yet, like Venus AND Saturn, it also has a vortex storm, which can be found in the southern polar region. Even more amazing is the fact that its surface is crammed full with hydrocarbons thought to be teeming with “tholins,” or pre-biotic chemicals. Add to this the electrical activity in the Titan atmosphere and we have an incredible moon with a massive potential for life to evolve. But as to where its atmosphere came from… scientists just don’t know. The sun alone could fill a book with its various mysteries. Yet one particular anomaly stands out from the rest. You see, each of the two poles of the sun vary in temperature exponentially. One side – the north pole – has temperatures that are approximately 80,000 degrees (Kelvin) cooler than the Sun’s other pole. Scientists are completely baffled by the discrepancy in the temperature. Furthermore, the stark variance does not align with the sun’s polarity, leading researchers to conclude that in some fashion, the solar structure of each polar region must differ in a big way. Needless to say, the sun has some splainin’ to do. That’s not the first mystery of the sun’s temperature. 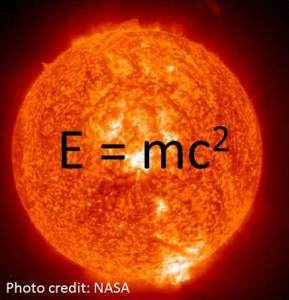 Just last year, astronomers finally discovered the source of another solar quandary. This one dealt with a temperature variation between the sun’s corona and surface. Inexplicably, the corona is more than 800 times hotter than the sun’s surface. As it turns out, this is because the sun’s atmosphere is bombarded by high-energy solar flares. Jupiter in and of itself is a pretty fascinating planet, but the true expression of its fascination can be seen in its multitude of diverse moons. Particularly those that have been dubbed the Galilean moons. We have Europa; the icy satellite that is stuck in perpetual winter. Callisto; the most heavily scarred object in our solar system. 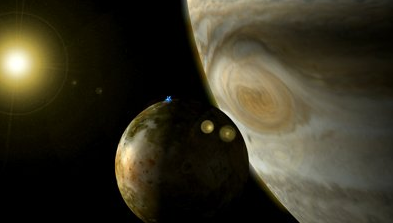 Ganymede; the largest moon of them all (it’s even larger than the innermost planet, Mercury) and, of course, Io. Not only does the moon look like a giant ball of moldy pizza, but it’s also the most geologically active place in our neighborhood. As a result of this, Io has numerous active volcanoes, about 400, that pepper the surface. One of them, called Loki, is the most powerful volcano in our solar system (It can spit plumes of lava more than 250 miles (400 kilometers) above the moon’s surface; into space0) After the extent of its volcanism was revealed by the Voyager 2 probe, scientists have worked to unravel the mystery of many of them. As such, about 30 years after they were initially discovered, it began to dawn on them that Io’s volcanoes aren’t where they are supposed to be. You see, Io’s volcanism is thought to be the result of gravitational stresses between the moon, Jupiter and the three other Galilean moons. Under this scenario, the volcanoes should pop up in the regions that experience the greatest tidal stresses, yet the opposite is true. The volcanoes are actually found a lot farther east than expected and we have no idea why this is. Our solar system is technically divided into several different parts. We live in the inner solar system, which includes Mercury, Venus, Earth and Mars (and each of the moons that belong to Earth and Mars). Extending a few billion miles beyond the inner solar system, we have the outer solar systems, It contains Jupiter, Saturn, Uranus, Neptune and their respective moons. (The boundary between the inner and outer solar system is the asteroid belt, where Ceres; the dwarf planet, resides) After we get past Neptune, we come to the Kuiper belt, where the remaining dwarf planets can be found. Several billion miles after which, we have the still-theoretical region dubbed the Oort Cloud. 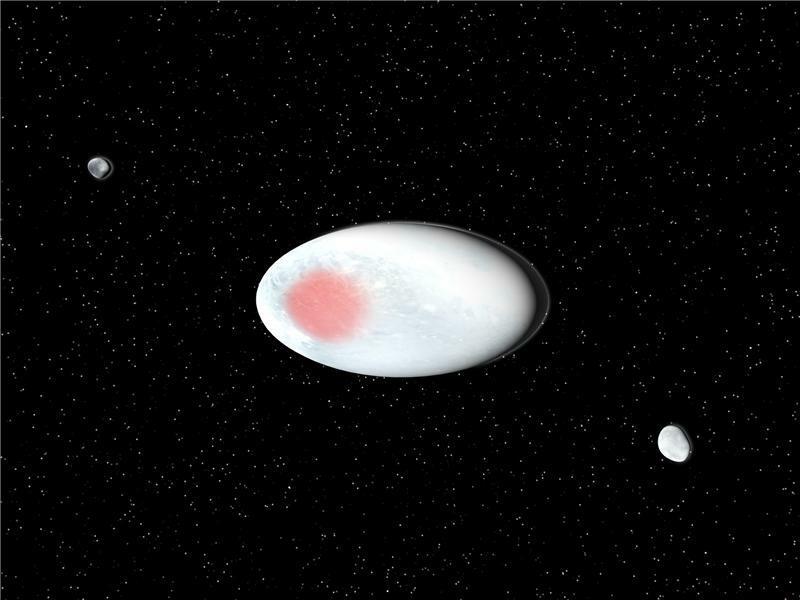 Because of the vast distance separating the outer-solar system from the Kuiper belt, very little is known about this icy region, but some of the information we do have is very perplexing. Most notably is the “ultra-red matter” mystery. The peculiar substance has been noted in approximately half of the objects studied in the Kuiper belt (and in some centaurs, or objects that recently escaped into the outer-solar system), but we’ve never actually observed it in any form in our portion of the solar system; Even with comets that have caught the eye of astronomers as they journeyed into the inner solar system, which is unusual since many of the comets actually originated in the Kuiper belt. The red nature of the substance (and it’s NOT iron oxide, the element responsible for the red hue of Mars) leads astronomers to believe that it is likely made up of organic molecules, which were effectively fried by the cosmic rays that bombard our solar system after being spat out by supernova explosions. Furthermore, it might be that the substance becomes unstable at higher temperatures, which would explain why we’ve never noted any of it on passing comets. Regardless, pinning down its nature may prove useful in determining how life first began on Earth all of those years ago. When we leave Earth to journey our way toward the stars, all bets are off. Things begin to get weird. The true extent of this weirdness can be seen almost immediately. Over the course of many years, scientists have noted that as several, but not all, space-bound spacecrafts exit our atmosphere and make a fly-by of Earth, they inexplicably experience variations in speed. When men boldly went where very few men had gone before for the last time, they did so in hopes of putting to bed several withstanding mysteries that preceding missions to the moon failed to solve, but instead, as they approached the “dark side” of the moon, another 50 year mystery was hatched. The mystery I’m referring to was originally seen fixated just above the lunar horizon, a phantom glow of some sorts. Initially, the idea was to watch as orbital sunset came upon them; when the sun sank behind the moon and blocked the bulk of its sunlight, thus allowing the astronauts to see coronal and zodiacal light [CZL]). BUT, the moon does not have an appreciable atmosphere, so another explanation is needed. The leading contender posits that the glow is created when sunlight reflects off of particles of lunar dust, but if that were the case, this glow should be a constant. Yet a lack of lunar horizon glow has indeed been noted by subsequent observations, leading some to the conclusion that the glow is either an illusion, or is variable. Regardless, a new hypothesis has emerged, which suggests that LHG is created by fountains of electrically charged lunar dust that basically levitate dust above the surface. Hopefully, in the coming months, NASA’ Lunar Atmosphere and Dust Environment Explorer (LADEE) will solve this mystery once and for all. Honorable mentions: Missing Methane Mystery of Mars, The Moon’s Origin, Phobos & Deimos: Martian Moons, Jupiter’s Inner Composition, Planet X, Saturn’s Hexagon Storm, The Tunguska Event, The Oort Cloud & Europa’s Oceans. Do you have any theories about any of these occurrences? What anomalies do you find the most interesting? 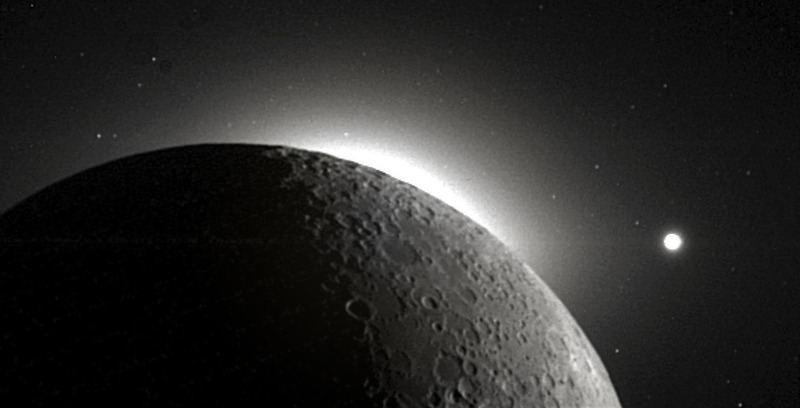 For more of the mysteries surrounding our solar system, check this article out. Where could we put a Human Settlement besides the Moon and Mars?